Reauthorization of the Integrated Coastal and Ocean Observation System (ICOOS) Act of 2009 is moving forward in both the House and the Senate. In early December 2015, the Senate Commerce, Science and Transportation Committee sent S.1886, the Senate ICOOS Act Reauthorization bill, to the Senate floor for consideration. Senators Wicker (R-MS) and Cantwell (D-WA) introduced S. 1886 under the name Coordinated Ocean Monitoring and Research Act in July 2015. In the House, Representative Young (R-AK) and Sablan (Ind- MP) introduced HR. 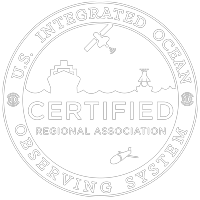 2744 – Integrated Coastal and Ocean Observing Act Amendments. The House ICOOS Reauthorization bill has 26 co-sponsors, 23% of the co-sponsors are from the SECOORA region. The bill is still in committee. Debra Hernandez, SECOORA’s Executive Director, will be heading to Capitol Hill early March 2016 to rally for more co-sponsors and talk appropriations to congressional representatives. Prior to the ICOOS Act of 2009, there was not a coordinated approach to coastal ocean observing systems. Coastal data was collected by multiple Federal, tribal, state and local agencies, researchers and citizen groups in mismatched formats and was largely inaccessible by others. The ICOOS Act established a coordinated program to integrate and share existing data, it fills critical gaps and produces information that is accessible to a range of users from mariners to fishermen to emergency managers and the general public. IOOS is user-driven, science-based and policy neutral. Read more on the IOOS Association website.